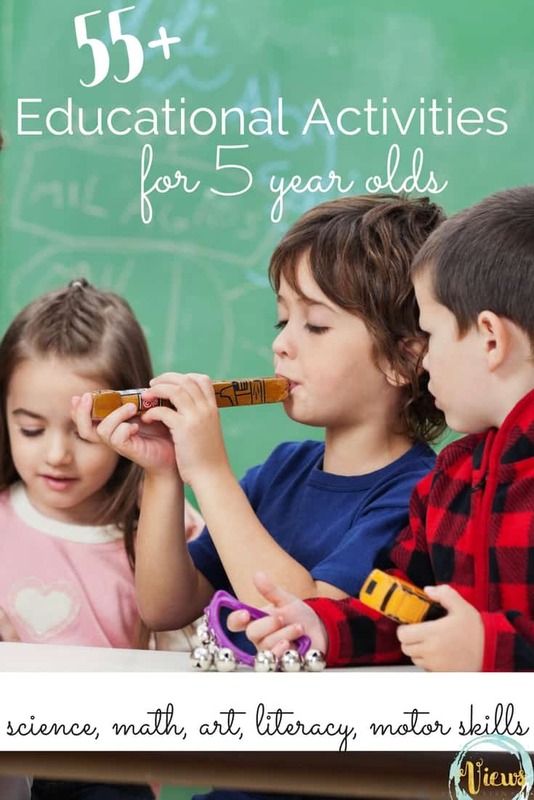 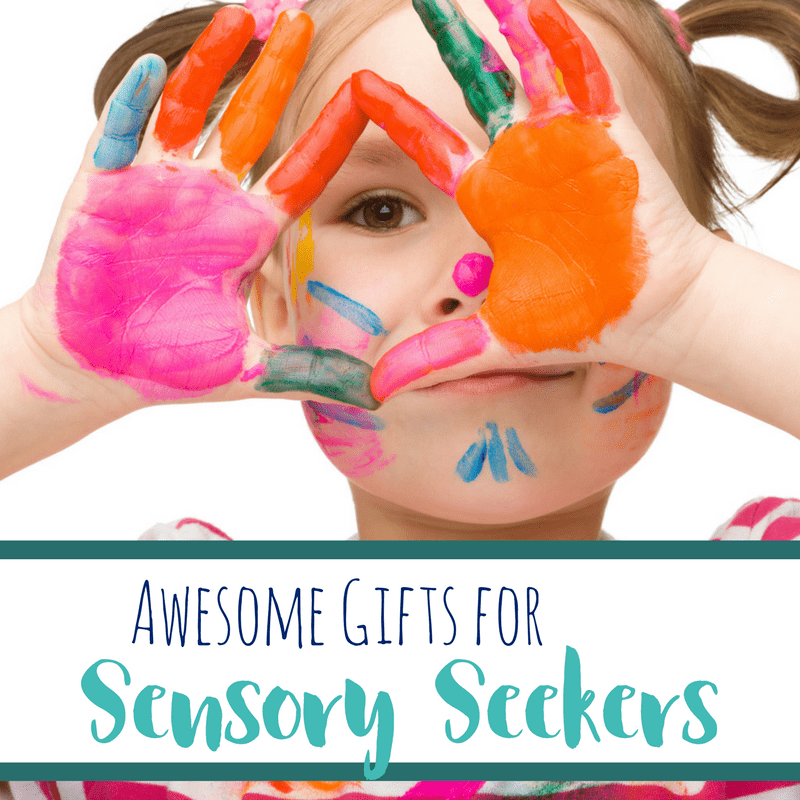 Engaging the senses is one of the best ways for kids to learn. 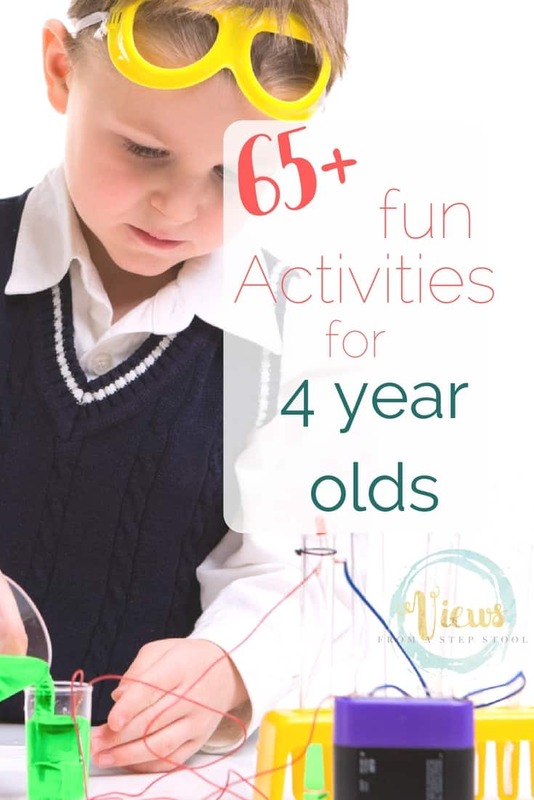 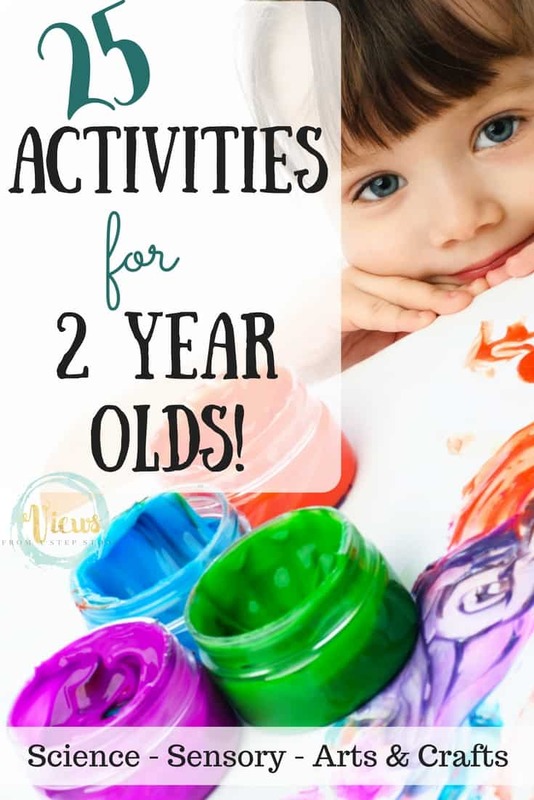 Holidays are a time of family fun, and crafting, playing and creating are all awesome ways to learn about and celebrate the holidays. 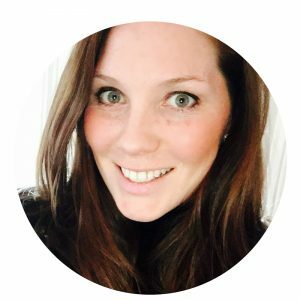 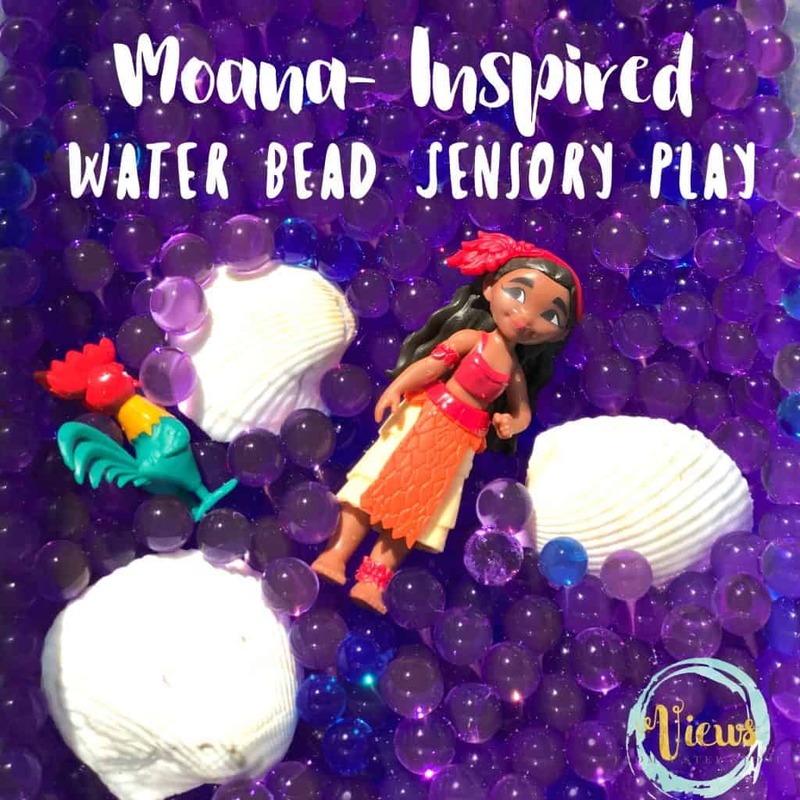 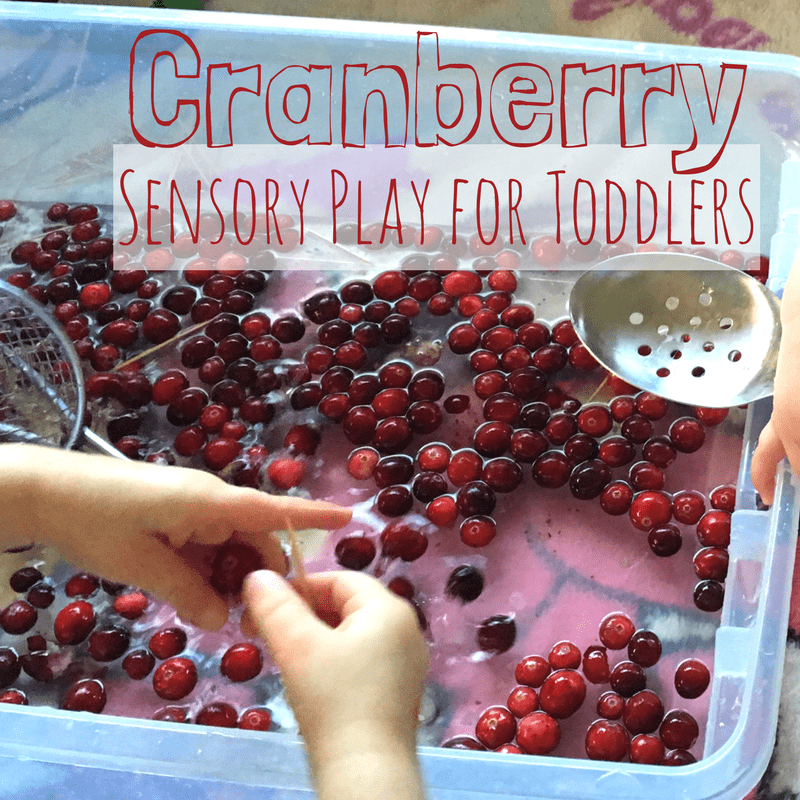 But, it can be difficult to find sensory activities for babies and toddlers, as they still like to put everything into their mouth! 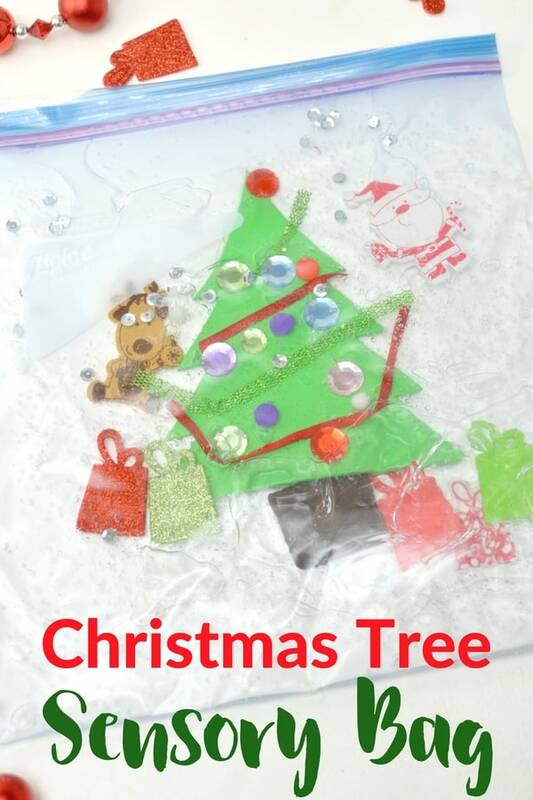 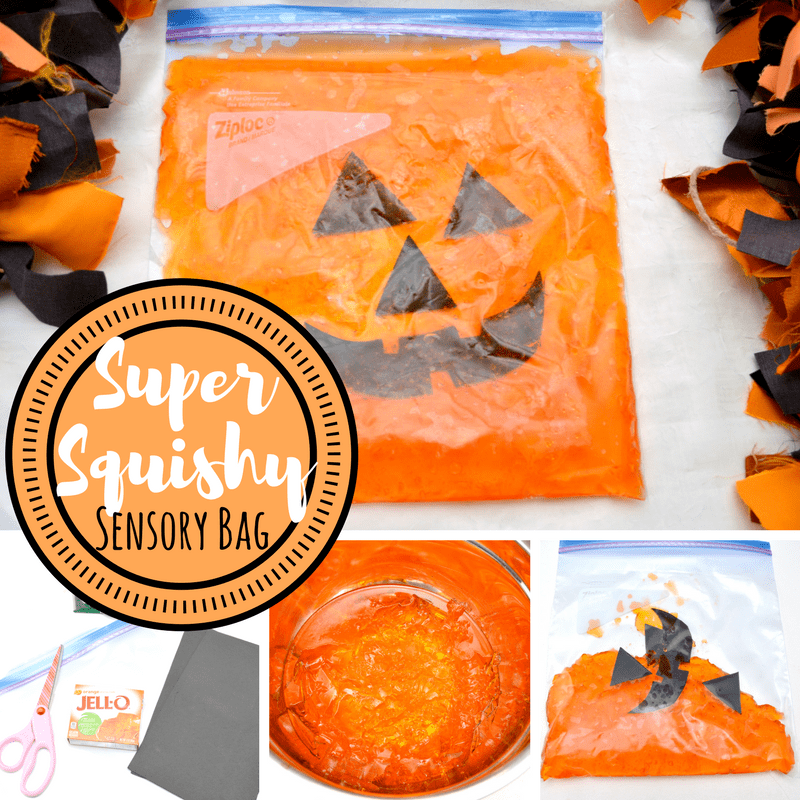 This Christmas tree sensory bag is the perfect solution for this age group. 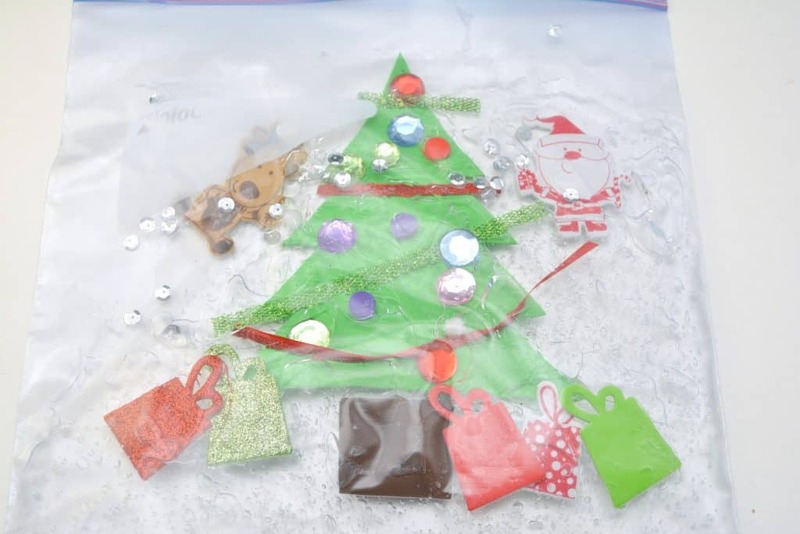 Foam Christmas shapes like a reindeer, Santa and presents. 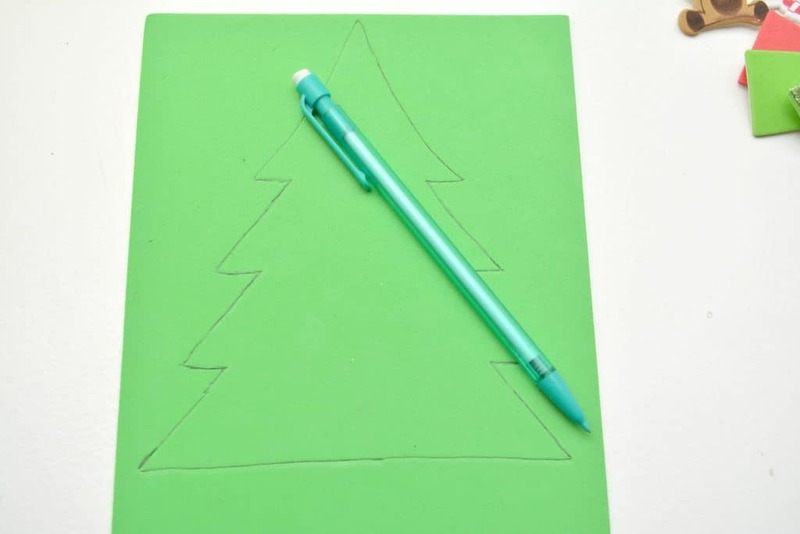 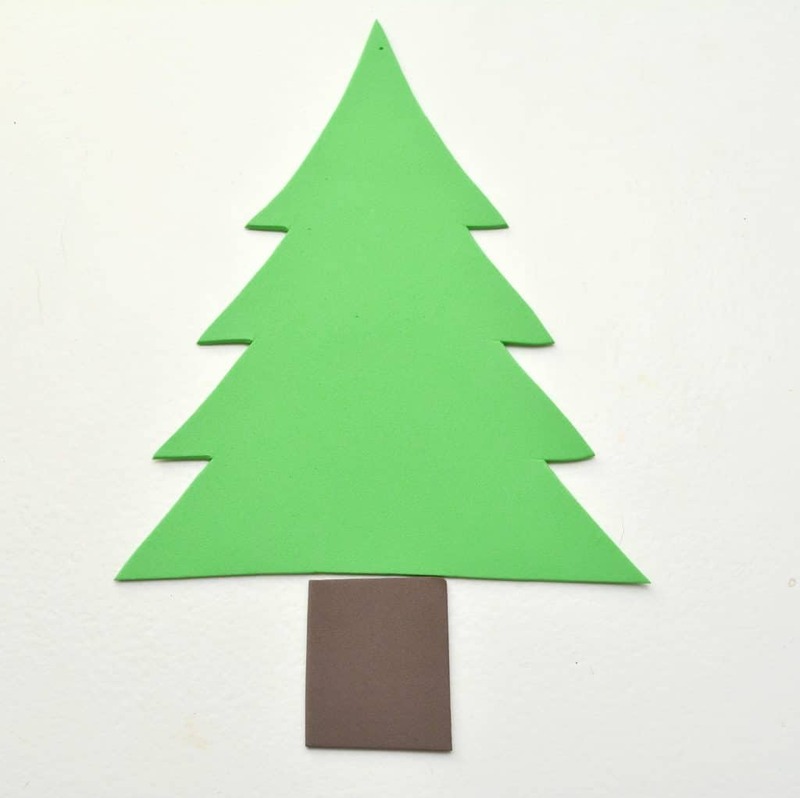 Cut out the Christmas tree shape from the green craft foam, and a small square or rectangle shape from the brown craft foam to serve as a trunk for your Christmas tree. 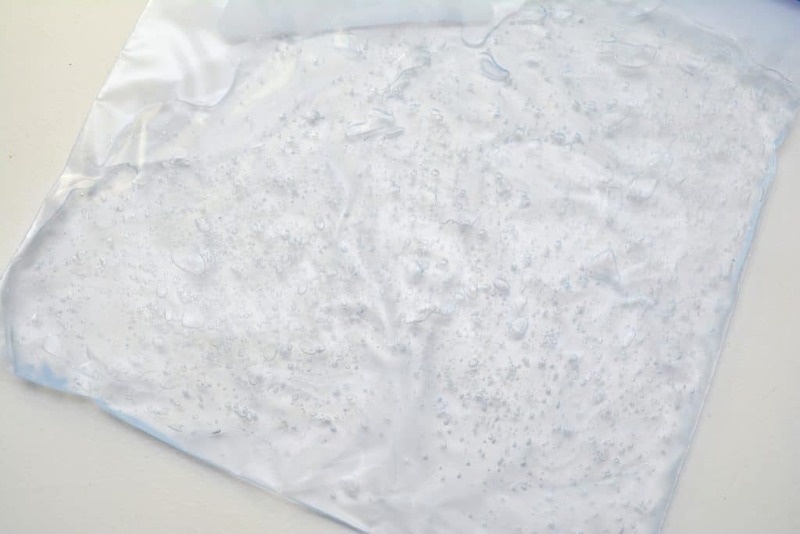 Fill a Ziploc bag with one large bottle of clear hair gel. 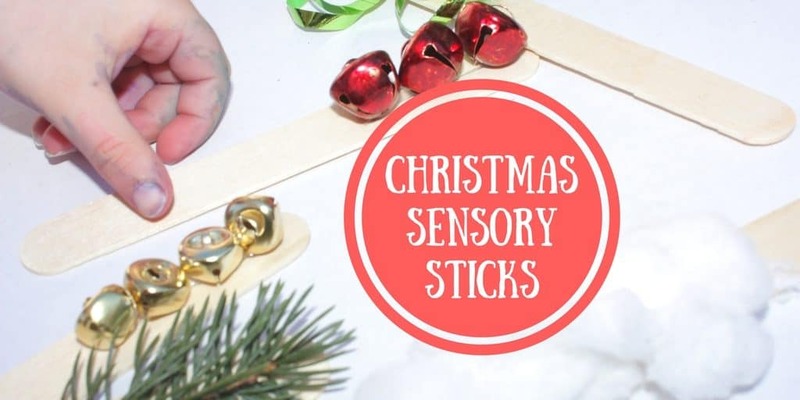 You can find these at the Dollar Tree. 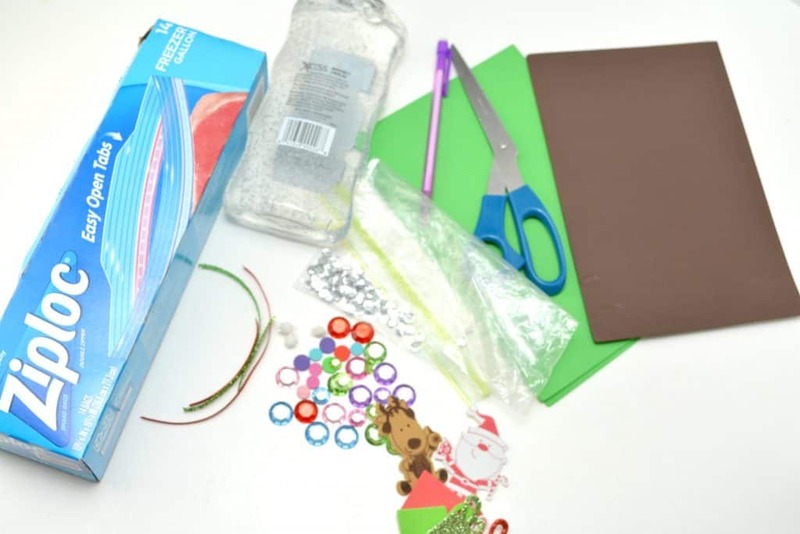 Put in some Christmas themed craft foam shapes like presents, a reindeer and Santa, as well as some small craft gems, pieces of ribbon, sparkly pom poms, craft foam circles, or anything else you might have in the craft drawer. 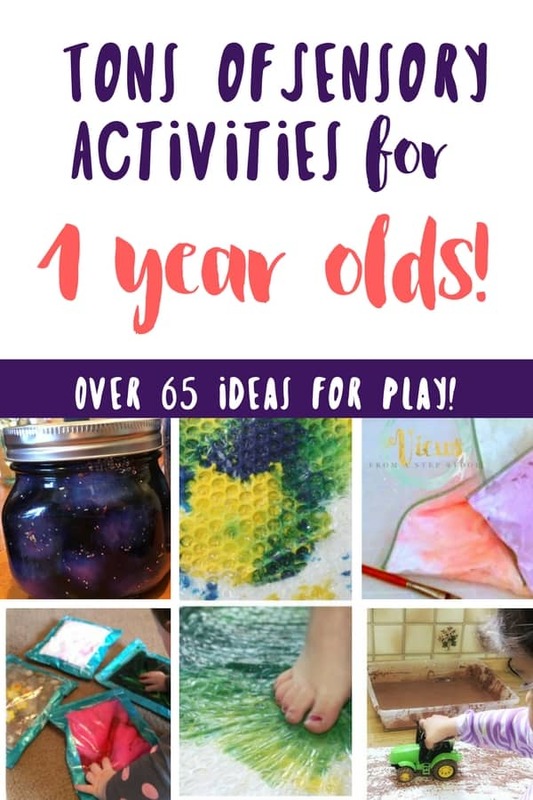 All of these supplies can be found at a craft store like Michaels, or here on Amazon. 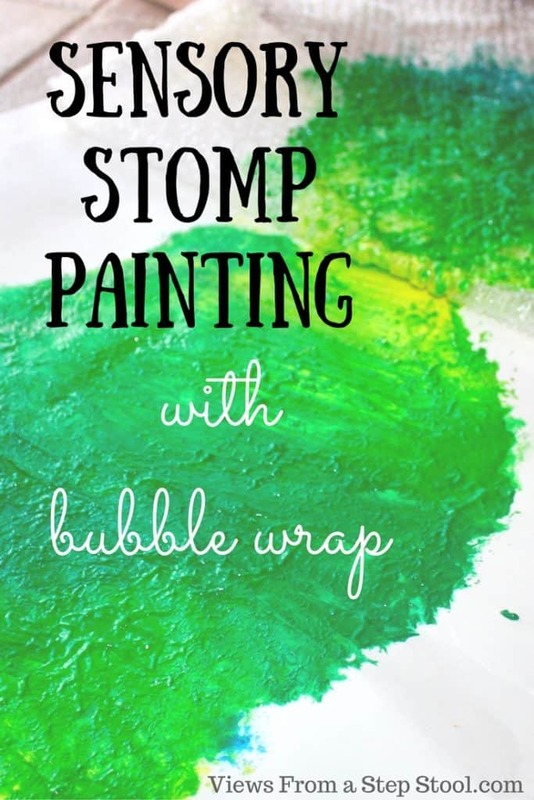 Get as much air as possible out of the Ziploc bag and seal the top tightly. 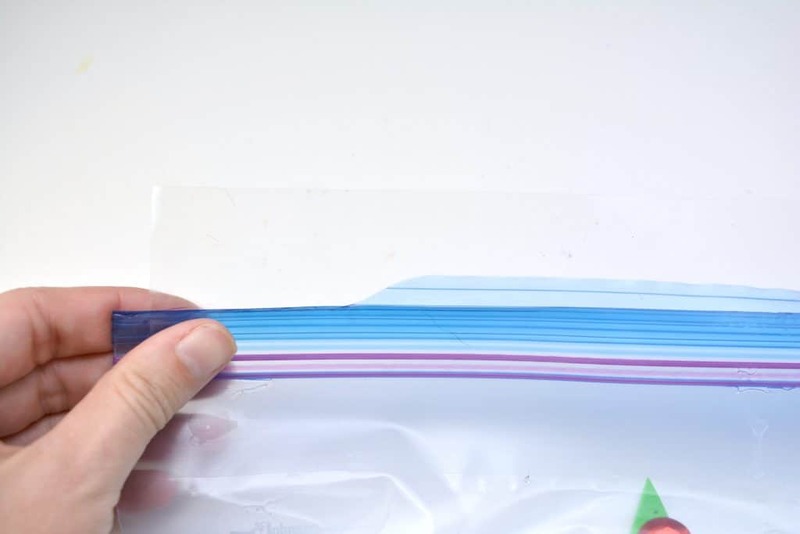 Use a piece of packing tape to secure the top and avoid leaks. 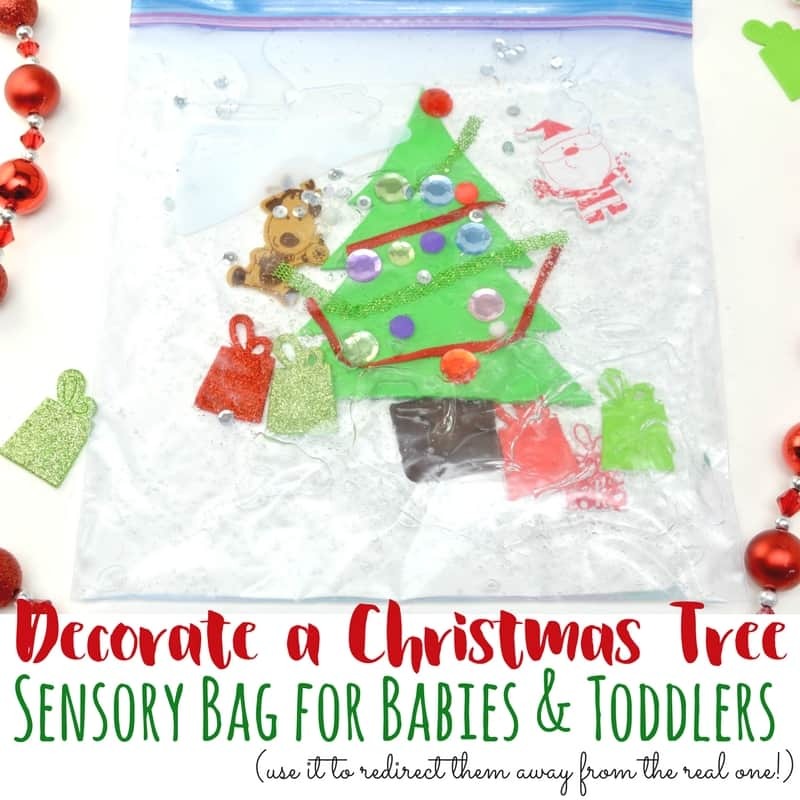 Let your little one push the decorations around this fun-filled sensory bag and decorate their very own Christmas tree. 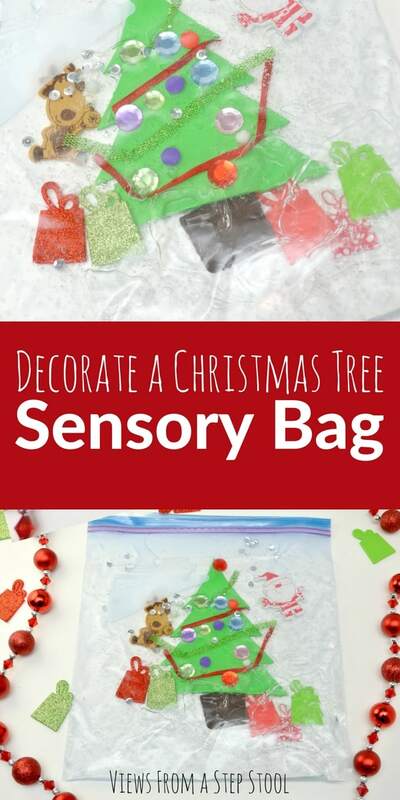 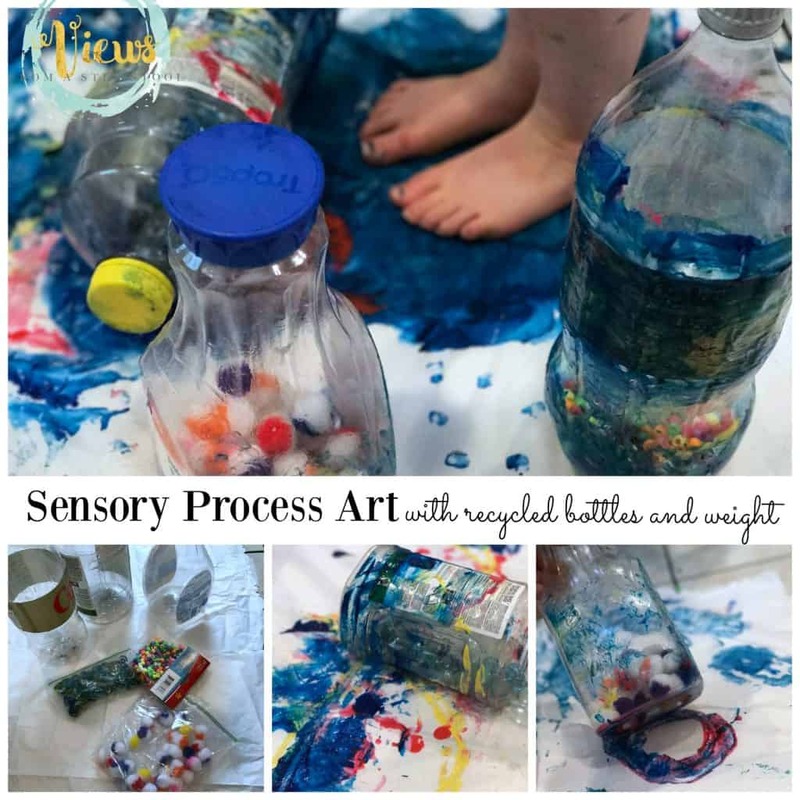 Enjoy making your Christmas tree sensory bag! 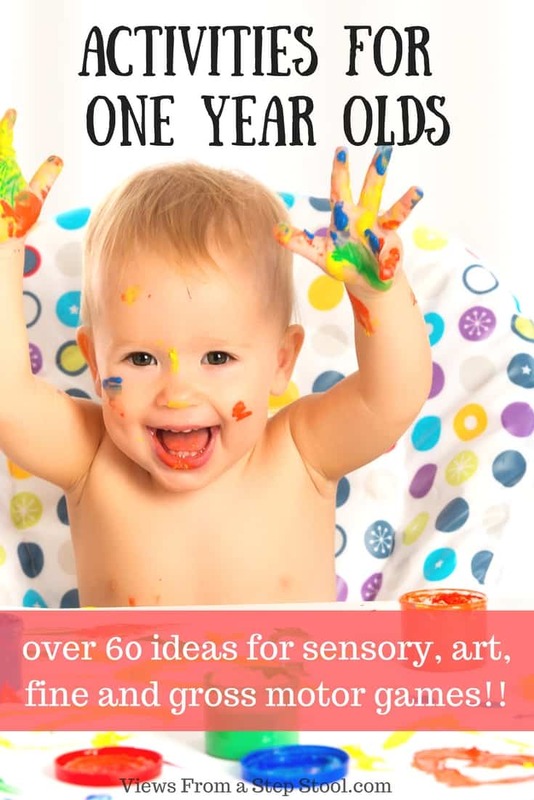 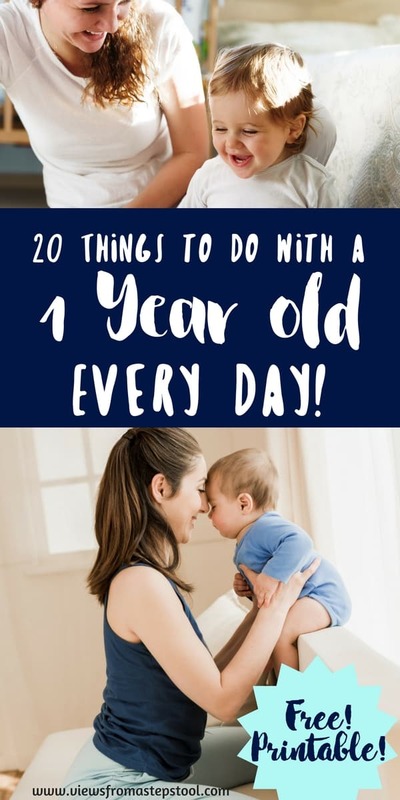 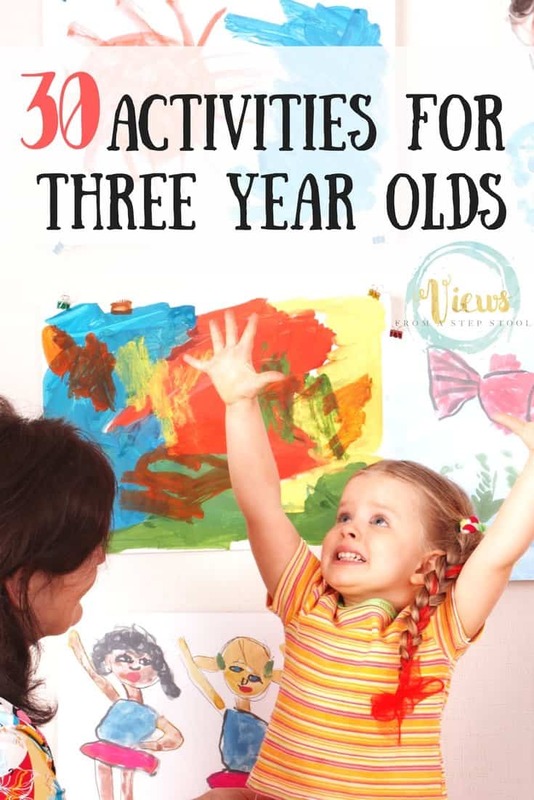 The perfect activity for 1 year olds.